As Linwood Cemetery is a public cemetery it does not come under Church laws regarding the burial of a person who has killed themselves being only allowed in unconsecrated ground. The cause of death stated on the transcription of the burial record for a person buried in Linwood Cemetery found on the CCC Database may not be present. In many cases the cause of death is "Coroners Warrant". Delving into Papers Past for any newspaper report of the person's death can often reveal the actual cause. The Trust has researched the majority of those buried in Linwood Cemetery who have "Coroners Warrant" stated as cause of death and can confirm that there are many who were regarded to have committed suicide. These people are buried in all areas of the cemetery. Eventually, when we can order our data in a way that we can make reports more effectively we will be able to produce information identifying the location of all these graves. 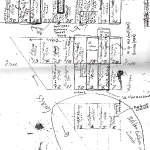 The Sexton's map for Block 38 shows that a small area at the western end of the Block (Plots 1-6) was labelled as put aside for still-born children and suicides (Conservation Plan for Linwood Cemetery, 2006, pp11and 53). This is inaccurate in terms of those interred therein. Block 38 Plots 1-6 do not contain any still-born children and labelling the three adults who are buried in Block 38 Plots 3-6 as dying from suicide appears also to be inaccurate as their deaths are not reported as deliberate in the media of the time. However, all three were destitute at death. The Friends have been campaigning for the removal of any reference of this area in the CCC Master Plan and other documents and websites as being of any significance and encouraging it re-categorised and referred to as a general 'Free' area. This is also interesting as it is in a Catholic section and suicides and still-born children are not traditionally allowed to be buried in consecrated land by the Catholic church and although - as mentioned above -.this is a public cemetery, it is likely that the Catholic section was consecrated in a religious ceremony of some kind when the cemetery opened. 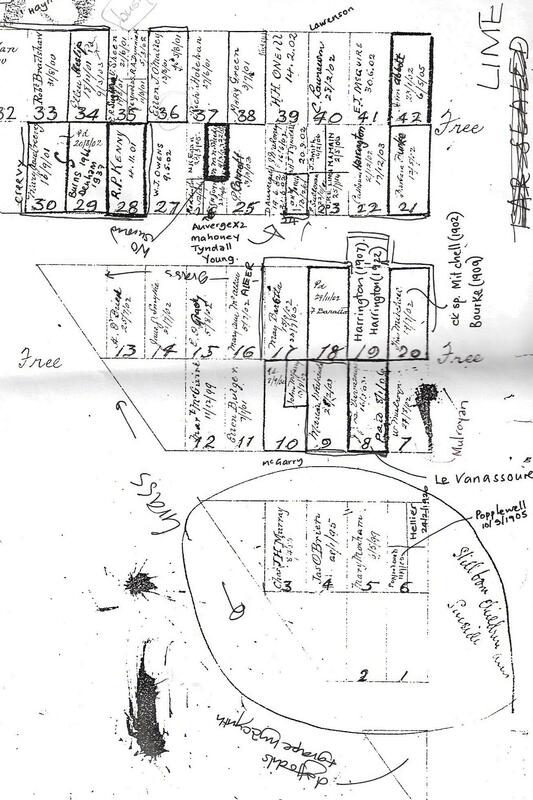 When these plots are cross-checked against the CCC Database it can be seen that the area was not fully used as Plots 1 and 2 show as empty, and those interred in the area were neither still-born nor suffered death by suicide. So clearly none of those buried in this area were still-born children and the three adults had self inflicted but accidental deaths, all being destitute at the time. For further information on the Stillborn children in Linwood Cemetery click here.